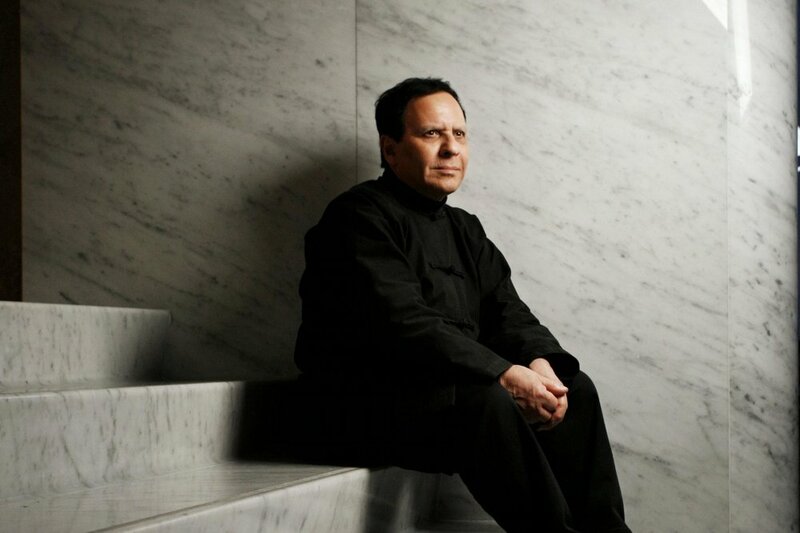 The Tunisian-born couturier Azzedine Alaïa enjoyed his role as an outsider in the world of fashion. Always dressed in a uniform of black, he ignored the strict fashion calendar of seasonal collections while tirelessly upholding the traditions of haute couture. From his first show in the late 1970’s to the last one just before his death in 2017, Alaïa’s work has always generated excitement and respect. Sensuous, body-hugging forms, described as « second-skin dressing », are Alaïa’s enduring influence. Experimenting with the latest stretch materials and precisely tailored leathers, he worked in the tradition of the great couturiers he admired and studied. Alaïa thought with his hands. He gave his ideas form by draping, cutting and pinning fabric directly onto the statuesque models with whom he loved to work. He combined his rigorous technical skills with an understanding of how women want to feel. He once remarked « I make clothes, women make fashion ». And many women have worn his elegant and sensual designs, from Greta Garbo, Grace Jones and Tina Turner to Naomi Campbell, Lady Gaga and Rihanna. Currently at The Design Museum in London till October 7th 2018, a wonderful exhibit is taking place entitled :« Azzedine Alaïa, The Couturier » showcasing some of the most beautiful dresses he created. His work is exceptional and one can admire the intricacies of each of these handcrafted works of art that are his dresses. A little man with gigantic talent. His passing is a great loss to fashion.